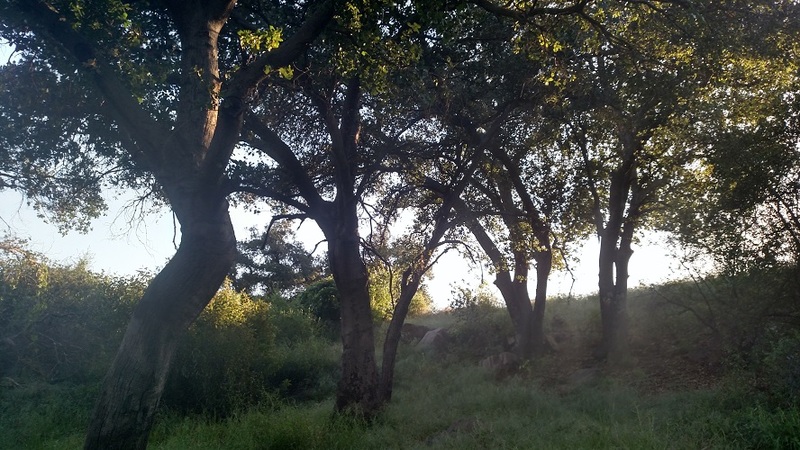 This intriguing and varied hike explores the area of the Ojai foothills between Gridley and Stewart Canyons. 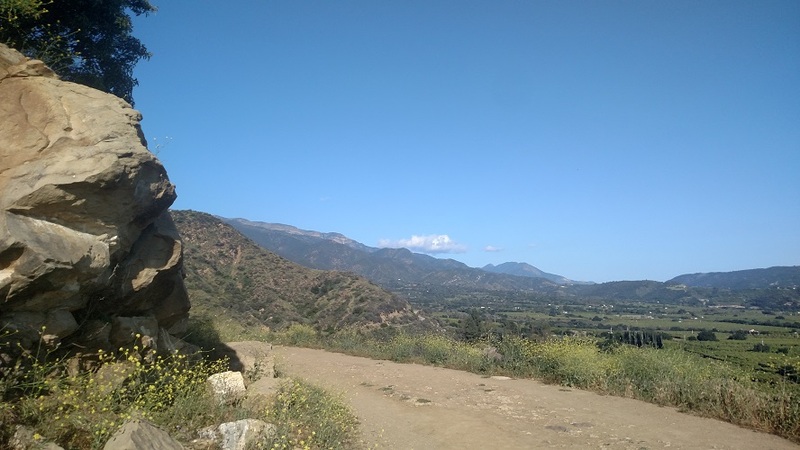 Because much of the route is on easements that skirt the boundaries of private land, it doesn’t have the same isolated feel of many Ojai hikes, but it’s still a challenging and worthwhile trip that offers some great views. 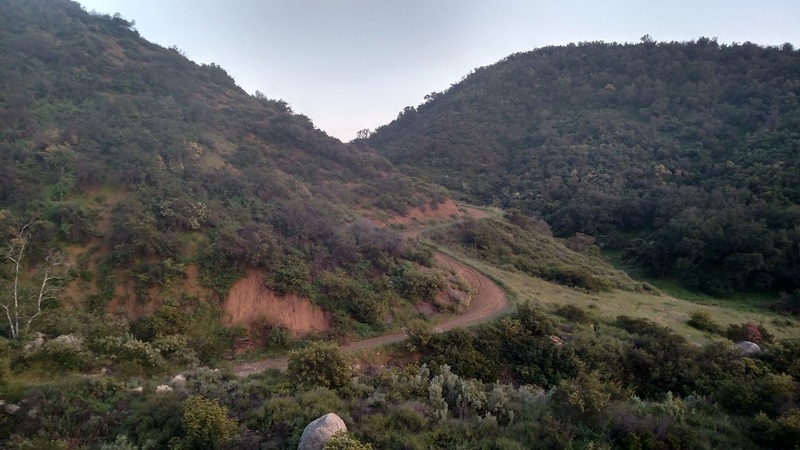 The route described here uses Los Padres National Forest trails and fire roads (plus two brief stretches on paved streets). 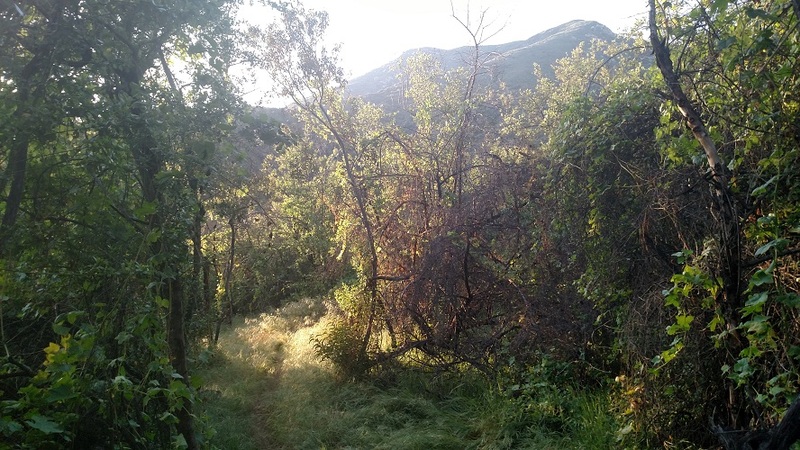 However, the newly established Valley View Preserve, created and overseen by the Ojai Valley Land Conservancy, occupies much of the same area and the trails intersect the loop several times, making for numerous possible variations. By hiking counter-clockwise, you will save the best views for last while getting the enjoyable but not terribly exciting Shelf Road portion of the trip out of the way first. Start by retracing your steps back toward Signal Road. Turn left and follow Signal Road uphill for 0.2 mile to the Shelf Road trail head. Shelf Road meanders east, passing by several junctions with Valley View Preserve trails and a few benches. 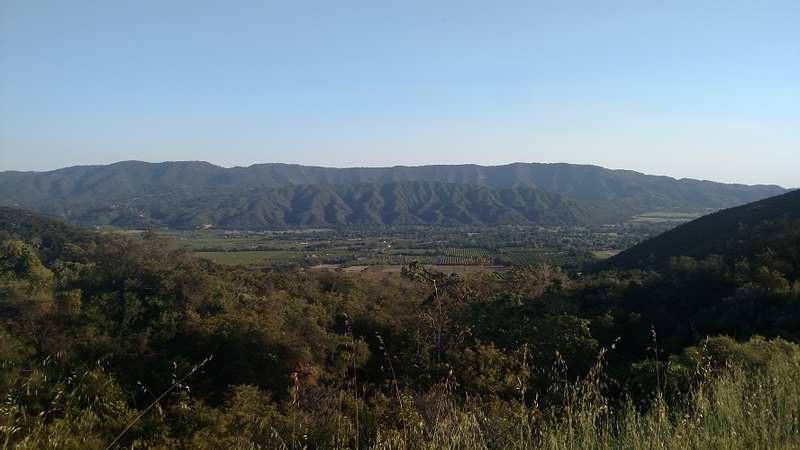 Much of the route is fenced in on the south side, but there are still some decent views of Ojai Valley and the eastern end of the Topa Topa Ridge. At 2.2 miles from the start, you reach Gridley Road. Head uphill with caution (there is no sidewalk, only a narrow shoulder – and in some places not even that). Fortunately traffic on this stretch of Gridley Road is light, mostly just hikers and mountain bikers heading toward the Gridley Trail, which you reach in 0.3 mile. Head uphill on the single-track Gridley Trail, climbing 300 feet in half a mile to a saddle. Here the Gridley Trail continues its long climb toward Nordhoff Ridge while your route, the Fuel Break Trail, descends briefly to the left. For the next approximately 0.8 mile, the trail weaves around several private lots, crossing a pair of service roads. Some of the junctions can be confusing, but the preserve trail signage is good (and the private property signs are usually pretty clear too). 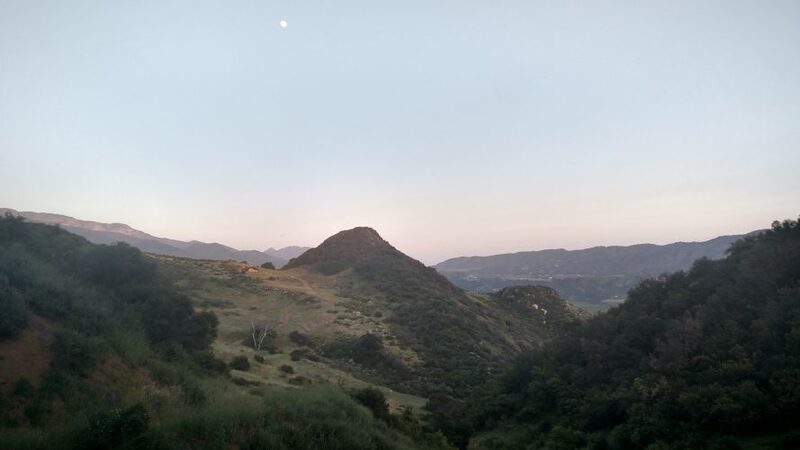 You rejoin Cozy Ojai Road which makes an ascent up an oak-dotted hillside to a saddle with a panoramic view to the west. The trail drops sharply, reaching a junction with the Fox Canyon Trail that descends back toward Shelf Road (an option for a shorter hike). 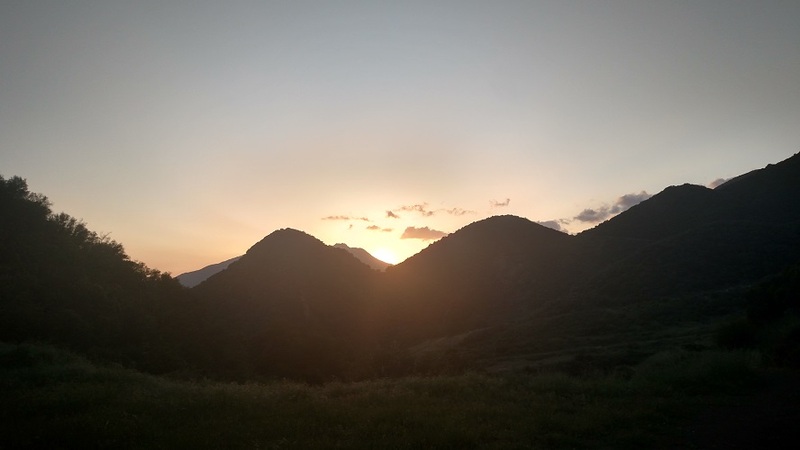 One more climb brings you to another saddle, after which the trail makes a scenic descent into the upper reaches of Stewart Canyon. At 5.4 miles from the start, you reach the Pratt Trail. Turn left and follow it downhill, briefly joining a paved road and passing several more private residences before returning to the parking area. Just a thought here. 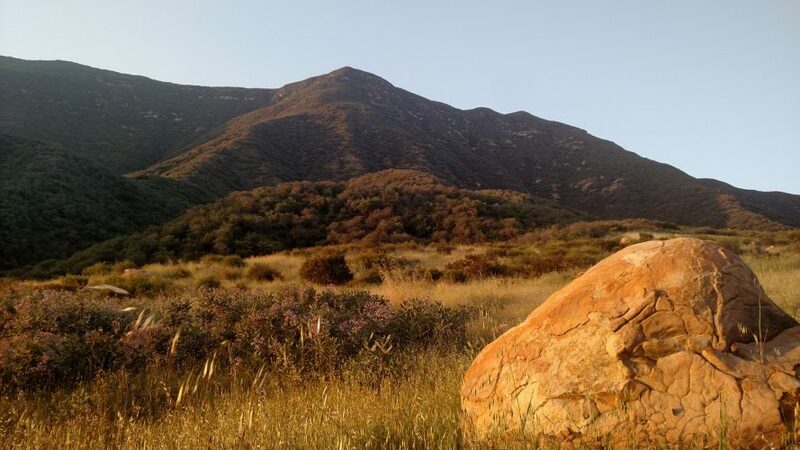 I really like your site and I have been learning a lot about Southern California hiking from it. However, images are always great and you add several which is good. However, you place them as thumbnails which requires readers to enlarge and then click back or view them on a separate tab. You might consider making them a gallery at the bottom of the page. Then when they are clicked on, they will enlarge and can be scrolled through easily. Readers only have to close the gallery to return to your page. In terms of layout, it will look practically the same as it does now, but much easier for readers to enjoy. Good suggestion, I will try that. Glad you are enjoying the site and finding it helpful.